Drinking beet juice daily can increase your stamina by 16%. Beetroot juice also aids in reducing your blood pressure. The Easiest and Best way to get more BEETS! Grow your own Beets! Here is a great link for growing beets organically. 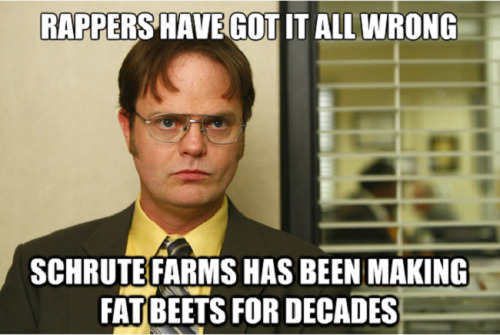 And for the rest of us who aren’t beet farmers. . . AIM has 2 incredible beet products to make including beets easier, more affordable, and more convenient. It is almost impossible to beet (Get It? It’s a joke… kind of) their products unless you own your own beet farm! You can click on the link to go directly to our AIM store to purchase without a membership. If you would like to get your own AIM membership and receive additional discounts, Contact Us or follow the directions to sign up for AIM. One cup of raw beets contains phosphorous, magnesium, calcium, iron, and potassium as well as vitamin A, niacin, folic acid, and biotin. When these nutrients are captured in the juicing process, the body can quickly absorb them. AIM saves you the trouble of juicing beets by giving you AIM RediBeets®, a concentrated beet juice with only the fiber removed. The essential enzymes remain, along with the natural form of betaine, which aids in cleansing the liver and reducing homocysteine levels. Posted in Whole World Well and tagged BarleyLife, Beets.